Given my fascination with the possibilities of life in other star systems, I was thrilled to read two papers that came out last week detailing our efforts to narrow down where to look. After all, that's the problem, isn't it? There are billions of stars in our galaxy alone, and it's impossible to study all of them with any kind of thoroughness. It seems pretty certain that most stars have some kind of planetary system, but trying to find Earth-like planets is another thing entirely. Most of the exoplanets that have been identified are gas giants, and a good many of those are very close to their parent star (and so are extremely hot). The reason these were identified first is not necessarily because they're more common; being more massive, and (for the close-in ones) having a stronger gravitational pull on their stars because of their proximity, makes them easier to see by both of the common methods used -- occlusion (seeing them pass in front of their stars) and Doppler spectroscopy (massive planets cause a wobble in the position of their stars as they orbit). [W]e should be careful about using our Earth to extrapolate about life on other planets, particularly those around other stars. The future of habitability studies will require first principles approaches where the temporal, spatial, geological, astronomical, atmospheric, and biological aspects of a planet’s evolution are dynamically coupled. This, together with improved observations, is the key to making more informed assessments. In turn, only through better observations can we improve such theoretical models. The second paper, published last week in Astrophysical Journal Letters, describes a study by a team of astronomers from Cornell University, Lehigh University, and Vanderbilt University, in which TESS -- the Transiting Exoplanet Survey Satellite -- will examine 400,000 stars considered good candidates for hosting planets in the habitable zone. "Life could exist on all sorts of worlds, but the kind we know can support life is our own, so it makes sense to first look for Earth-like planets," said Cornell astronomer Lisa Kaltenegger, who was the study's lead author. "This catalog is important for TESS because anyone working with the data wants to know around which stars we can find the closest Earth-analogs." Even the scientists who study this stuff on a daily basis recognize what a leap forward this is. TESS has already identified over 1,800 stars that have planets up to 1.4 times the mass of the Earth -- considered an upper limit for habitability -- and 408 for which TESS could recognize a planet as small as, or a little smaller than, the Earth from one transit alone. Unlike the old look-everywhere-and-hope-for-the-best approach, this study starts out by examining the most likely candidates, making the hopes for positive results much stronger. "We don't know how many planets TESS will find around the hundreds of stars in our catalog or whether they will be habitable," Kaltenegger said, "but the odds are in our favor. 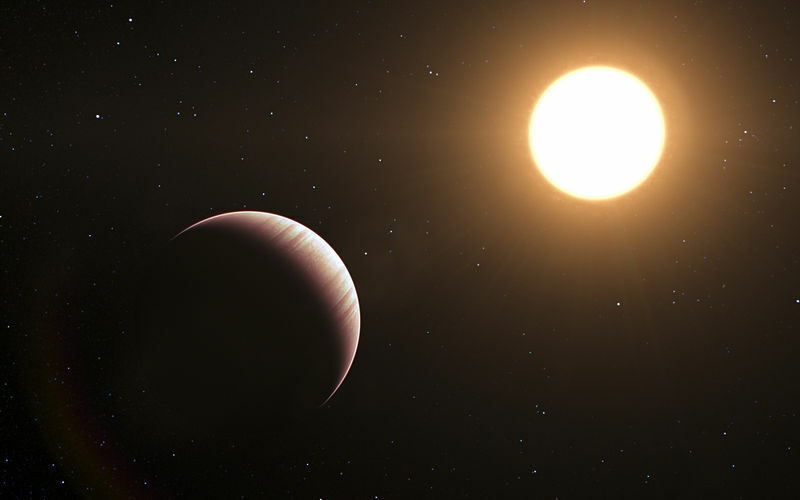 Some studies indicate that there are many rocky planets in the habitable zone of cool stars, like the ones in our catalog. We're excited to see what worlds we'll find." So am I. It's long been my dearest hope to have unequivocal proof of extraterrestrial life in my lifetime. (Intelligent life would be even better, but I'm trying to keep a modest goal, here.) The idea that we are now devoting significant time and effort into locating good candidates for hosting life is tremendously exciting. While it's still not likely that we'll find neighbors to talk to, at least knowing they're out there is cool enough for now.